Apple is facing antitrust scrutiny from the European Commission, which has reportedly sent questionnaires to record labels and music services to gather information about the company’s plans to launch a streaming music service. 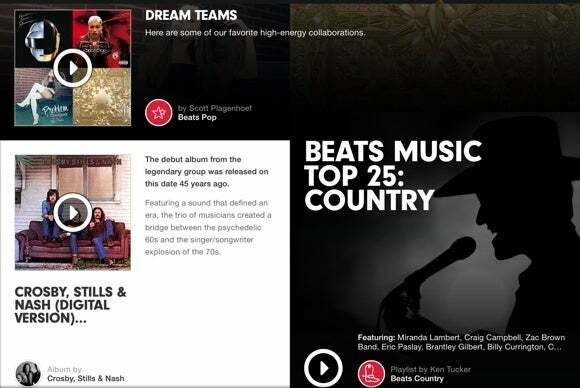 Apple acquired streaming music service Beats Music in May last year and is said to be developing a revamped version of it in June. The European Commission, the EU’s antitrust authority, is interested in Apple’s plans and has been asking record labels and music companies to reveal information about agreements with Apple, the Financial Times reported Thursday, citing people familiar with the matter. Apple wants to bundle the streaming service with its iTunes music download app, the Financial Times said, adding that the Commission is concerned that Apple will use its size and influence to convince labels to abandon other streaming services, like Spotify. The Commission declined to comment on the matter. Neither Apple nor Spotify immediately responded to a request for comment. Sending out questionnaires to market participants is done by the Commission in order to gather data about the business concerned. It’s a first step in European antitrust investigations. The investigations can be prompted by a complaint from a company, but the Commission can also start looking into a market on its own initiative. If the Commission finds a competition problem, it could start a formal probe in which it can require a company to change how it works. It also can lead to fines with a maximum of 10 percent of a company’s annual turnover. If Apple launches a streaming service this summer, it will enter a busy market in which it will have to compete with companies including Spotify, Pandora, Deezer, Google Play Music and the recently relaunched Tidal.